Here at Flicks we seek to offer a great selection. Both of these ambitions are evident when looking at our collection of wines. We offer a wide variety of options, be it the type of wine, the brand or the price, everything from highly affordable to grand indulgence. We have such a huge number of options that we’re almost certain to have the one you’re looking for, but if we don’t just tell us. 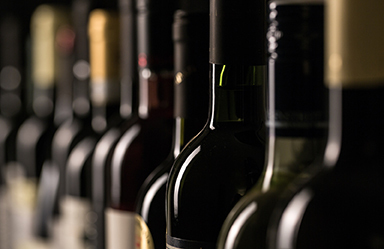 We’ll put in a special order to make sure you’ll soon receive your wine of choice. At Flicks, we take measures to ensure that we will have the capacity to bring you almost any wine available, in a timely manner. We can help plan everything from start to finish, there are so many options no two tastings will be alike. We will sit down and work with you to help plan the tasting just as you envision it, from 2 – 200 people. We can do tastings at your home, at the office (after the office is closed), or at Maple Grove (with 20+ guests). We want your involvement as much as you’d like. We want this to be just as you imagined but we are here to provide ideas as much as needed. We will provide food according to size and type of tasting. We can stay and serve the wine through the entire tasting to inform your guests about the wine. We can come set up, leave and come back to clean up. You can contact us via phone at 734-854-2000, stop in and visit the store at 3320 W. Sterns Rd., Lambertville, MI 48144 or complete the form on our Contact Us page of the website. We look forward to sitting down with you and making your Wine Tasting come true.